You are here: Home / christmas gifts / What Was the Best Holiday Gift From Your Employers? What Was the Best Holiday Gift From Your Employers? Holiday Gift: What to Give Your Nanny? When I asked our family’s tutor what he’d like this holiday season, he asked straight-out for a cash bonus. Even though cash isn’t exactly the most personal gift, as we’ve discussed before, currency is the No. 1 choice of nannies and sitters too, based on a poll by the sitter-finding site http://www.SitterCity.com. The No. 2 pick was multi-purpose gift cards from such vendors as Amazon.com or American Express, followed by bath and body products, gourmet food items or clothes, writes Genevieve Thiers, SitterCity’s CEO. Nannies expect at least a week’s salary as a bonus, says Stephanie Felzenberg, executive editor of “Be the Best Nanny Monthly Guide.” During these tough economic times, if you can’t afford this (as we discussed earlier this week) Ms. Felzenberg says, you should “speak to the nanny so that she isn’t insulted” or left wondering whether her performance has fallen short. Nannies also like “any gift that could be considered a benefit of the job,” such as help with the car or health insurance. Among other ideas, says Judi Merlin, director of A Friend of the Family Home Services, Athens, Ga., a placement agency, are spa services, a gym membership or tickets to a concert or show. Other possibilities: frequent flier miles, a tuition payment, a time-share week, a gas card or help buying a computer. If your budget won’t stretch any farther, consider a gift of time; wangle a few hours off work and fill in for your nanny for a while. Of course, nannies and sitters also appreciate gifts that bespeak their bond with the children — a photo book, scrapbook or locket with the child’s photo, says Pat Cascio, owner of Morningside Nannies, a Houston agency. 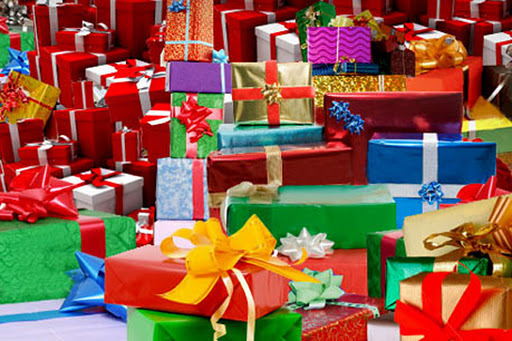 What was the best holiday gift your employers ever gave you? « How Much Do You Spend on Holiday Gifts for Your Charges and Their Parents? Best gifts were ornaments of $100 dollar bills on a mini christmas tree and front row center tickets to a Broadway play. Big bonuses were great too! I got a flat screen tv!!! But usually the bonus is the best and most important gift because I've gotten a lot of expensive gifts that I didn't even like. But other than that it's best to expect nothing or you may be disappointed. Some families are super generous, others not so much. My bosses is the greatest. With their frequent flyer miles they gave me and my boyfriend plane tickets to New York City, the hotel room, and tickets to a play! Last year they gave me a laptop!